“Process vs. Product” centered art is a pretty trendy buzzword in early childhood education circles. But, what does it mean? Why does it matter? After all, aren’t all art/craft projects a process? In a nutshell, “Product” centered art is when the main purpose is to have a specific end result. Usually it means there is only one “right” way to get there and a certain set of steps have to be followed to make it happen. “Process” centered art is when the whole point is the creation of the piece. The learning happens along the way as they are exploring through the art. The end result is only important because it illustrates the process that occurred. I have a pretty good example of the difference in two pieces that my son created. 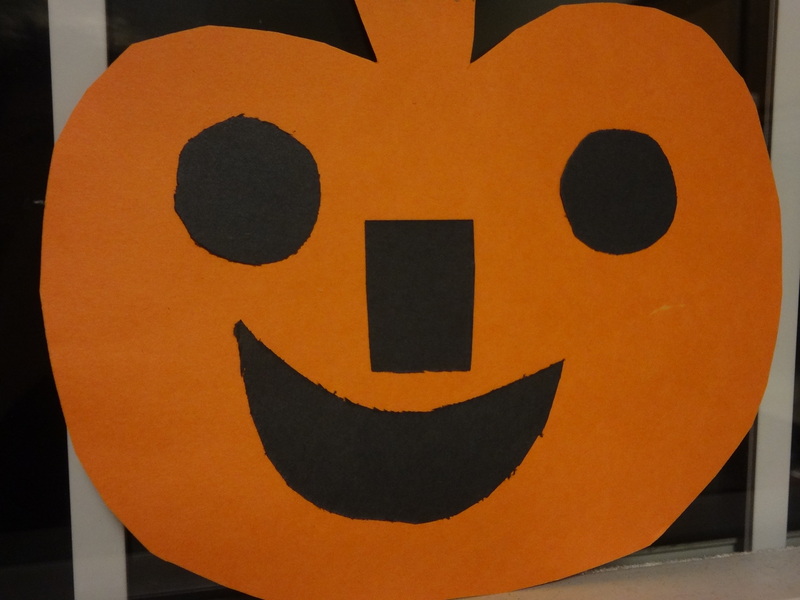 This first is a sweet little Jack-O-Lantern that he made at a Halloween party. Do you notice something…symmetrical about it? Something that would be hard to get a 2 ½ year old to pull off on their own? When he brought it home I pulled it out and exclaimed “Oh wow! Look at this! Who made this?” He looked over at it, shrugged dismissively and said “Ms. X.” Although I know Ms. X didn’t do the whole thing, he didn’t feel as much ownership over the end result. 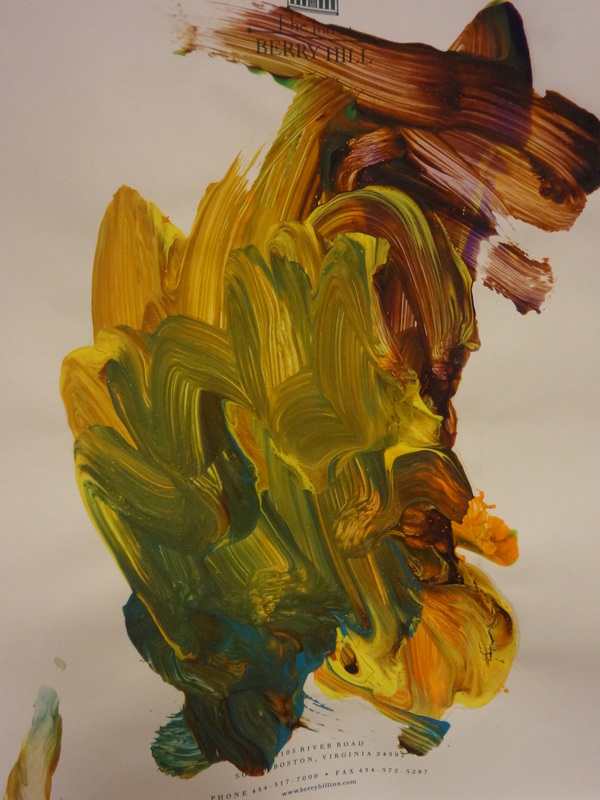 Example two is a painting he did with a babysitter. When I got home, they brought it over to me and she jokingly said “We titled this one…All the Colors!” Sure enough, the paint was smeared on so thick the paper was crinkly and many areas had turned a muddy shade of brown. We spent a full five minutes looking at this painting as my son eagerly showed me every different color he had used, how he had dabbed the brush here and smeared it there and what had happened when the colors mixed. He was proud of it because of how engaged he had been in the process. Of course, the problem with “process” based art is that sometimes it is hard for the observer to understand. You may have a child who is very worried about getting things “right” or a caregiver or educator who doesn’t understand why it doesn’t “look like anything.” You may have to spend some time explaining how the lesson and learning is all woven into what they created and, if it going on display, be thoughtful in the description of what people are looking at. When you are planning a program for young children, it is natural (and great!) to want to include art in it. Art is a fantastic way for children to explore and learn and is often easy to adjust for kids with different ability levels. However, you need to look at WHAT you are planning to have them do. It is not “wrong” to do product centered art. After all, kids and adults like having something they recognize and it can be a wonderful keepsake. That Jack-O-Lantern will go up with our Halloween decorations year after year! Also, learning how to follow directions is a skill that is important to develop and this is a fun way for them to practice. However, be thoughtful about the process that gets to your product. Is there a set “script” they need to follow? Will deviating make it not look “right” in some way? Does it take you more time to set up the experience then it does for them to create it? If so, re-think your project. With a little planning your little artists can still be fully engaged in the process, and come out with a wonderful product. This entry was posted in Early Childhood Education, Museum Fun at Home and tagged art, engaging, everyday, homemade, infant, teachable moments, toddler. Bookmark the permalink.